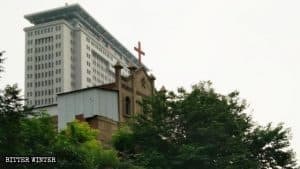 China’s central province of Henan has the largest Christian population in the country and has, therefore, become one of the regions where religious persecution is the most severe. Bitter Winter has repeatedly reported about the brutally beaten believers, burned and forcibly dismantled church crosses, sealed off, shut down and repurposed places of worship. 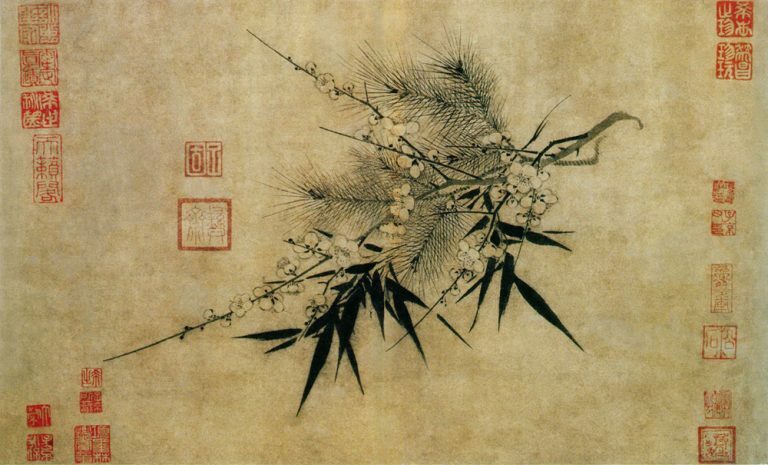 The crackdown on Protestant places of worship during the most important holidays for Christians last year was yet one more evidence of the cynicism and ruthlessness of official China’s suppression of religious belief. 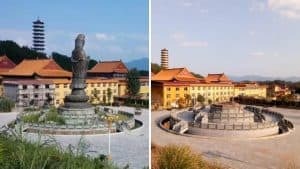 Demolished churches, Communist Party propaganda instead of traditional Christmas couplets, penalties for celebrating Christmas – these were the holiday “gifts” from the government to the members of the state-approved Three-Self Church in Henan. Bitter Winter continues to receive more accounts of such incidences. 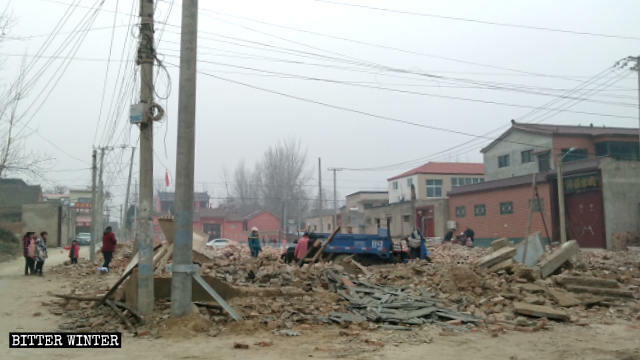 On the second day of Christmas in 2018, the local government of Henan’s Luoyang city demolished yet another Three-Self church in Miaonan village of Mangshan town under the city’s jurisdiction. Around 10:00 p.m. on December 26, about 200 personnel, including town and village officials, arrived at the church and ordered demolition workers to raze to the ground the church that was built nearly 20 years ago and had government-issued religious venue permit. The reason cited by the government was that the site of the church was needed to build a school. 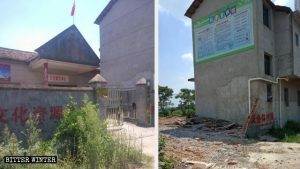 One of the church’s believers revealed that after the church was demolished, town officials demanded that the church’s director sign a document acknowledging that the demolition was of the believers’ own volition. Before the destruction, the government promised to compensate the church and allocate a piece of land for them to rebuild it. To date, however, none of these promises have been fulfilled. Video: The church in Miaonan village after being demolished. The believer told Bitter Winter that on the morning of September 7 last year, the church was forcibly sealed off by the government, when nearly one hundred government personnel came to the church, seeking to remove items from inside it. 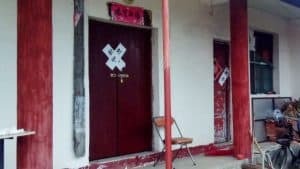 To protect the church’s assets, more than 20 members of the congregation attempted to block the officials from entering the place of worship, and five elderly believers even lay down in front of it. A government official threatened to revoke the believers’ pensions and arrest them if they don’t leave the church and oppose the government. But the believers refused to leave. Seeing that their tactics hadn’t worked, the officials went to find the sons of the church’s director and the believers blocking the entrance and ordered them to take their parents home, or else they would be dismissed from public office. Intimidated by the officials, believers had no choice but to leave the church. Immediately, the church was cleared out and sealed off. About 70,000 RMB (about $14,900）in donation money was also seized. 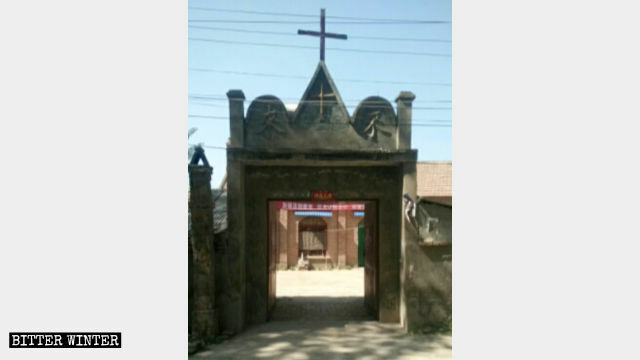 The Three-Self church in Yanwangmiao village before it was demolished on December 14, 2018. Over in Henan’s Kaifeng city, on December 14, just as the members of the congregation at the Three-Self church in Yanwangmiao village, in Wulihe town of Qi county, were getting ready to celebrate Christmas, the town’s Armed Forces Department officials came to take over their place of worship. 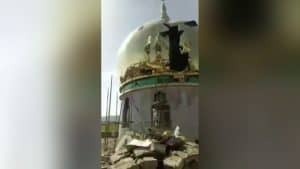 In the early hours of the morning, at around 7:00 a.m., government personnel started removing all faith-related symbols inside the church that were later burned and destroyed; Bibles and other religious books were confiscated. 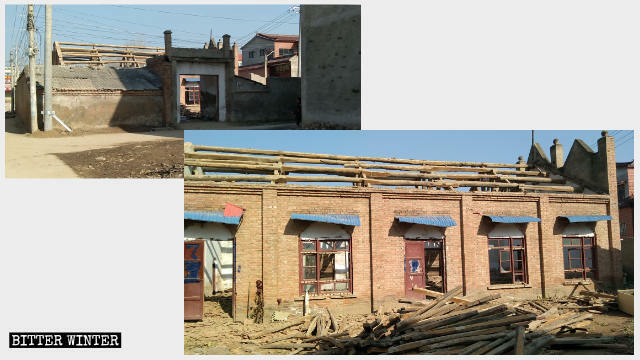 The church in Yanwangmiao village is in the process of being demolished. One worker at the church revealed that the church had collected 95,000 RMB (about $14,000) in donation money, which was going to be used to build a new meeting venue, was forcibly seized by the local Religious Affairs Bureau. What remains after the demolition of the Yanwangmiao village church. Two days later, under orders by authorities, workers used excavators to tear down the church into a pile of ruins.